Welcome to Robin's "Round Robin blog" where Robin supplies the topic and we give our answers. I'm really enjoying the experience, and anyone can participate if they want. Just contact Robin or me. TOPIC: Have you ever met a real-life character? Someone who was very different from your preconceptions, or someone who was just bigger than life, or whose lifestyle was so very different? A very eccentric someone? Tell about them (without giving real identities) in any manner you like. Did they change your viewpoint? Did you use them as a fictional character? BOY!!!! Did I ever. I lived in California at the time and this long-known and well-respected actor happened to come to the dentist in the office next to my dentist. I'd long heard rumors of how the office staff disappeared from my dentists to next door whenever he came to town, but circumstances never allowed me to experience his presence personally. However, one day he stopped at a neighborhood bar and grill where my then husband and some of his cronies were hanging out for a bit of after-shift relaxation. Of course, several of them called home to tell us "HE" was there. I happened to be with two of the other wives, and we all had children, so we flipped a coin to see who stayed home. I didn't lose the toss, so Karan and I left poor Kim with the kids and headed downtown. Everyone there was in awe of him. Me included, as he had long been a TV hero, especially westerns. I wasn't yet an author then, but I imagine I might have patterned a hero or two after him since I write western historical. The fellas from the PD wanted to buy him a drink, but no one had the nerve to approach him. I've long been a believer that everyone puts their pants on one leg at a time, and certainly his just didn't fly out of the closet and appear on him automatically so I said, "What's the big deal. He's just someone who happened to make it big. I don't have a problem asking him." So, I sauntered across the room to the bar where he sat with a friend and stood for a second until he noticed me. Before I could say a word, he waved me away like one would a pesky fly, saying, "No autographs please." That pissed me off. Not only do I believe the pant theory, I also don't relish autographs. Hell, I could sign his name on a piece of paper and who would know the difference? So, I broadened my shoulders, stared him in eyes not quite so gorgeous anymore and said, "Are you kidding? I don't want your autograph." I pointed out the group at the table. "See those guys. They're from a local PD and wanted to buy you a drink but were afraid to ask, but I assured them you were a nice guy. Seems I wasn't quite right. Have a nice day." I turned to leave, but he had to have the final say. "Well, tell them thanks but no thanks, because they'd probably stop me and make me take a breathalyzer if I accepted their offer." Would I base a hero on him now. No way! Now, hop over to http://wattleglen-margarettannersblog.blogspot.com.au/ and see what my friend Margaret Tanner has to say. Indications are very strong that we shall move in a few days, perhaps to-morrow. Lest I should not be able to write you again, I feel impelled to write a few lines, that may fall under your eye when I shall be no more. 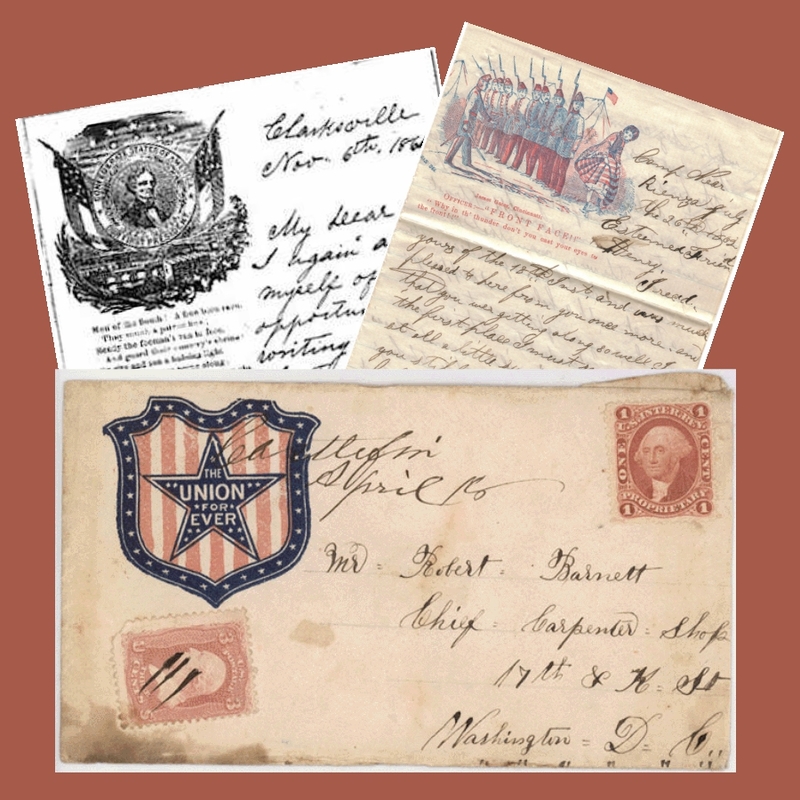 So opens the letter from Major Sullivan Ballou, made famous by the documentary Ken Burn's Civil War. Accompanied by the haunting music of Ashoken Farewell, with the knowledge that it was the last letter Major Ballou send to his wife, the letter never fails to move me. Imagine what it would have been like to receive the letter. In a time before electronic communication, the art of letter writing was highly respected. When you knew that what you were committing to paper may be read in front of distant friends and family, it put you on your mettle. In the nineteenth century, letters were a source of news and entertainment as well as a means of personal communication. My time has come for sleep and I must soon close I want you to rite to me as soon as you can for I will be glad to hear from you any time.Direct your letters as before and dont forget your best friend so I will end my few lines but mylove to you has no Endremember me as ever your love and friend. Excusebad riting. Courtship was carried on via the mail. In wartime the post was unreliable but care packages found their way to soldiers, and pay packages found their way home to support the soldiers' families. Private Josiah Reed was wounded during the Battle of Stones River in Tennessee on December 31, 1862. During his convalescence he started to work at the hospital and started medical studies during the war. As he writes the woman who would eventually become his wife, his future was uncertain and at any time he could be posted to active duty. My prospect is good for staying, but I am still subject to orders. My arm has been entirely well for some time, but I am troubled some with rheumatism in my shoulders, otherwise I am perfectly well. Drs. Green & Jennings are both here yet and are practicing successfully. I am getting used to hospital life and begin to like it very well. My duties here are more constant than they would be in the field, but they are not attended with so many hardships and so much exposure. I have good opportunities for learning also, which is an item of no small importance. It is one of the best situations anywhere fore one who has read medicine a year or two and wants to complete his course. Of course I lack this necessary preparation, but I shall make as much as I can out of my opportunities. ...Since writing the above we caught a couple of mice. They got into a box of Farina and we covered it up tight & then wet a sponge with chloroform and threw it in. They soon keeled over and gave up the ghost. When we set out, I felt I was on a grand adventure. Then we reached St. Louis. The city has changed since we were there together, travelling west with Mama and Papa. It isn't so much the landmarks that are different, though the city has grown. It is the climate. All around me I could feel a level of excitement about the coming war that was almost frightening. No one doubts that war is coming, but truly, sister mine, I wish they had read their history. What they are wishing upon themselves is not the glorious venture they all expect. ... I have been told that Bellevue is lovely, but as Mama would say, "Lovely is as lovely does." Already I have seen some of the evils of slavery described in Mrs. Beecher-Stowe's novel. I fear I will see worse before long. As the Bible says, and Papa often quoted, "I am a stranger in a strange land." I was unable to validate the truth of this story, so I can only assume it's made up. I searched for such gestures used in the old west, but found none. I did notice that the woman in the picture seemed to be dressed somewhat for the old western era. One would think the common "gun fight" was the solution to anger during that time, but that myth is debunked below. Still, I did consider this cute and worthy of sharing since I'm going to tie it in with western history. Following what may be the mythical explanation, I'm going to provide the link to Wikipedia and the long history of the middle finger for your perusal. I can only assume if someone did use the gesture in the old west, they might have said, "yee haw, muthah tucker." You get my drift? Before the Battle of Agincourt in 1415, the French, anticipating victory over the English, proposed to cut off the middle finger of all captured English soldiers. Without the middle finger it would be impossible to draw the renowned English longbow and therefore they would be incapable of fighting in the future. This famous English longbow was made of the native English Yew tree, and the act of drawing the longbow was known as 'plucking the yew' (or 'pluck yew'). Much to the bewilderment of the French, the English won a major upset and began mocking the French by waving their middle fingers at the defeated French, saying, See, we can still pluck yew! Since 'pluck yew' is rather difficult to say, the difficult consonant cluster at the beginning has gradually changed to a labiodental fricative 'F', and thus the words often used in conjunction with the one-finger-salute! It is also because of the pheasant feathers on the arrows used with the longbow that the symbolic gesture is known as 'giving the bird. 1. Settlers and Indians constantly clashed. Reality: Of the thousands who traveled west, very few met death at the hands of Indians. According to research, only a small percentage met their demise in that manner compared to the thousands who died because of disease and trail accidents. 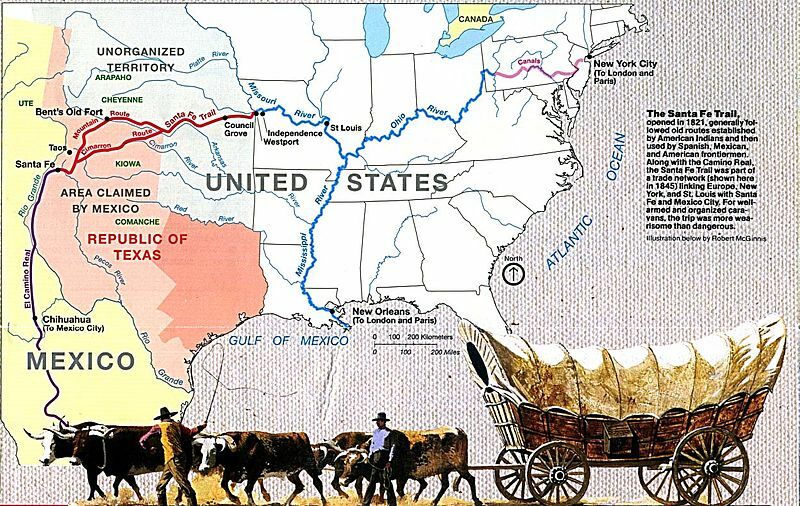 Although "circle the wagons" was an indication to prepare for battle, trains usually traveled spread across the land rather than in one single line, therefore it would have taken hours to form hundreds of wagons into what we often see in westerns. 2. 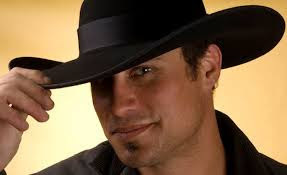 Cowboys wore Cowboy Hats. 3. Guns were plentiful in the Old West. Reality: Actually, gun control laws during the era were more strict than today. 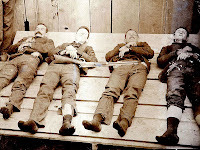 Many towns posted signs prohibiting the carrying of fire arms, but of course, as today, there were always those who failed to follow the rules, as in the shootout at the OK Corral. The distance and type of bullets used then varied a great deal from the handguns of today, and the supposed distance a bullet traveled was 50 feet maximum. Rifles and Shotguns were the weapons of choice, but how often did you see two Cowboys meet in the streets and shoot it out with those? 4. 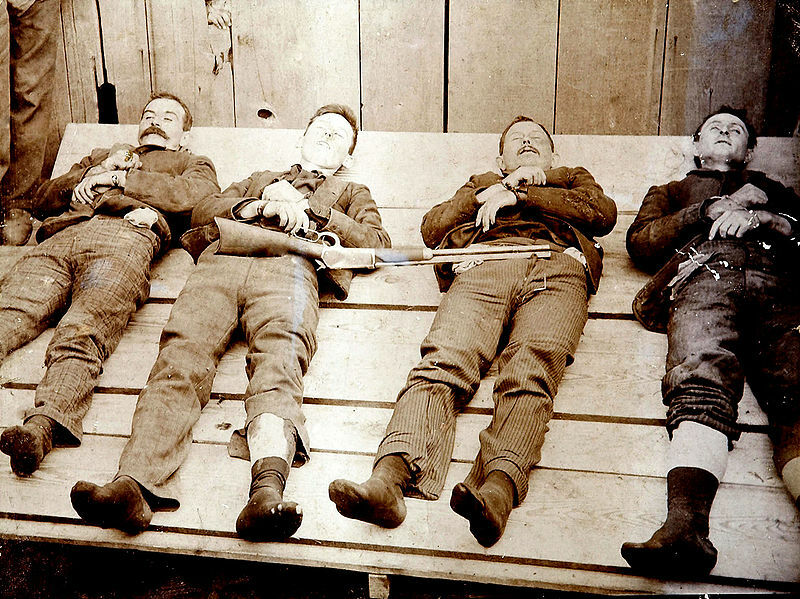 Bank Robbers were Rampant in the Old West. Reality: Research reveals that only eight actual heists took place compared to thousands in modern day. The reason was probably the smallness of the towns and the fact that the bank was usually within a few doors of the Sheriff's office. 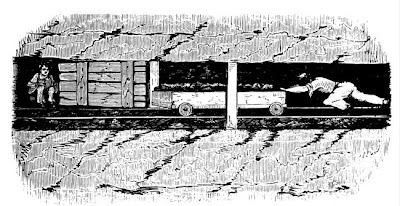 The most common targets were trains and stagecoaches because they were isolated and a lot less dangerous than robbing a bank and risking getting caught or shot dead. 5. This one hurts. Cowboys are an American Creation. Reality: Cowboys are older than American itself. Mexican Vaqueros were the first to originate cattle drives, developed most of the lingo we associate with Cowboys, and wore the first "Cowboy" hat that resembles the Stetson we imagine on our heroes' heads. They taught American Cowboy's most of what they knew, and in repayment, besides taking over the culture, the term "Vaquero" somehow became "buckeroo." So, there you have it. Spoilers that betray most of what we've seen in TV and Theatre westerns. Kind of disappointing, isn't it? Please visit the link I used to provide this post and read the accountings in their entirety. I've paraphrased and the creators there who did the research and wrote the article did a superb job of backing up their "reality." 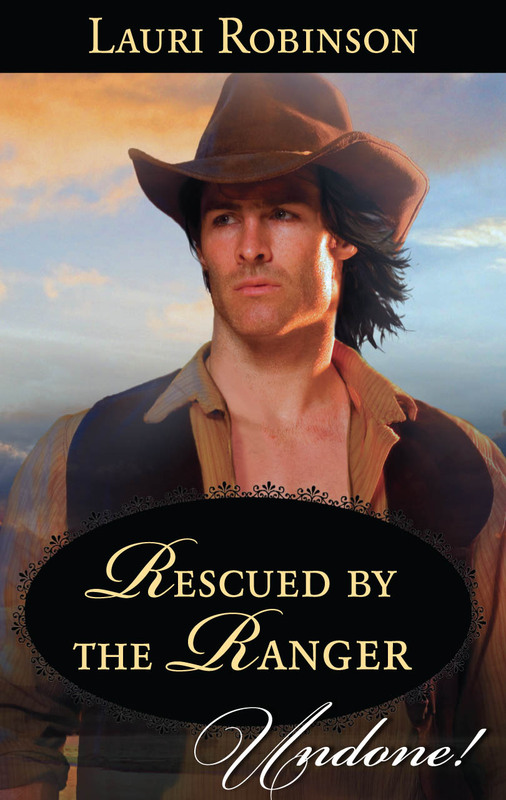 Having just signed another contract with Harlequin for three books (making five I’m contracted to write over the next few months), company coming this week, and a new grandbaby, I’m making life a touch easier on myself this week by posting a few Old West Tidbits from my list of many. One final bit of information: August 1st was the release day for the Stetsons and Scandals miniseries from the Harlequin UNDONE line. 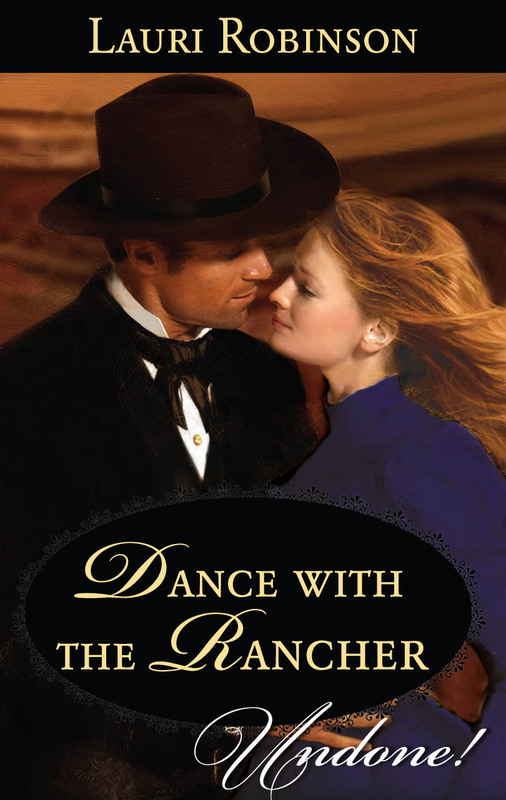 Both Dance with the Rancher and Rescued by the Ranger are now available. The mines back in the 1800’s were not built like they are today. In fact most of the smaller mines back then didn’t have tunnels leading into the mine, but a shaft instead. The shaft was a hole blown into the mountain that went straight down. These were deep and dangerous pits that could be a challenge lowering men in and out of the mine. An ore bucket was crafted and used to haul men, equipment and coal from the mountain. 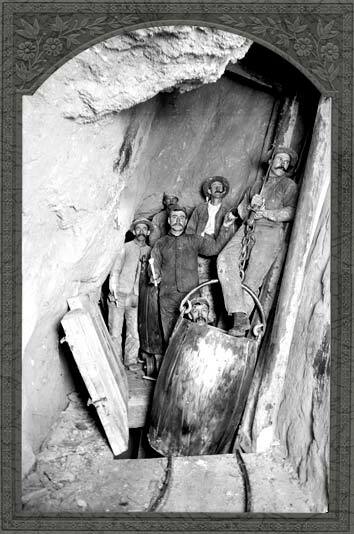 Large enough to carry more than one person, the bucket could conveniently carry two more miners if they stood on the rim and held onto the rope. With the hole in most shafts only a little wider than the ore bucket itself you could imagine how scary it would be riding down on one of them. Ventilation was achieved within the mine by linking two shafts and allowing air to flow freely between them. The flow of air could be increased by suspending a fire basket into one of the shafts. The warm air rising in the shaft caused a partial vacuum in the workings and cold air flowed down into the shaft to maintain the balance of the air pressure. However, underground the miners faced very real and great dangers. Flooding, cave in's gasses such as Chokedamp making it impossible for the miner to breathe and Firedamp, not poisonous, but explosive were all serious threats. In order to rid the mines of explosive and poisonous gases, a crude ventilation system was built in the early 1800's/ Young children called Trappers would sit underground for hours opening and closing trap doors that went across the mine. This created a draught and could shift a cloud of gas, but it didn't always work. 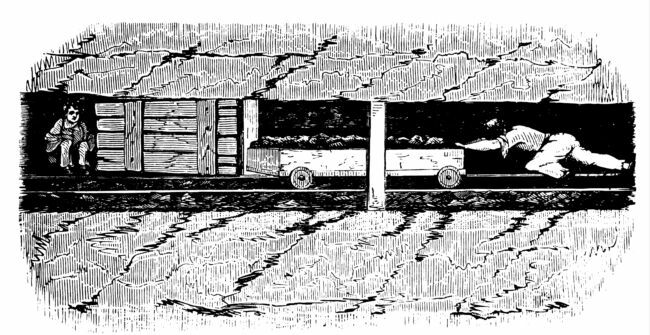 Trap doors could also stop the blast of an explosion damaging more of the coal mine. Canaries were also a source of telling the miner when the air wasn't clean. 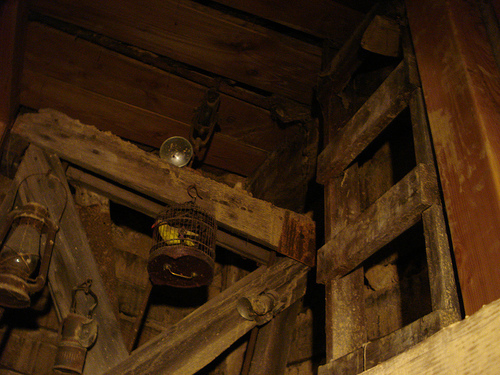 The birds were brought into the mines to detect deadly gases before it killed the miners. The canaries would sing in their cages and if they stopped whistling, the miner needed to get above ground immediately. While researching all the horrible and unimaginable things a miner must face while in the belly of a mountain, I came across this picture. I stared at if for over an hour and decided to add it to my blog post. 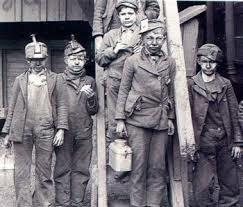 Children were often used in the mines because of their size. They were hired to crawl into the dark dank tunnels where men could not fit. They undertook small jobs suitable for nimble fingers, like threading weaving machines, getting into nooks and crannies in the mountain, and making matches.The dangers they faced in their every day life can be imagined...add that there was no electric light, no rest breaks, no food or water provided, and they worked up to fourteen hours a day. The life of a miner was not a great one with long hours and so many dangers lurking below, but the work was steady and put food on the table. I admire these men, women and children who braved the ominous mountain, crawling within it to dig for their families and the possibility of a better life. RODEO - AN ALL-AMERICAN SPORT? Until I decided to look into the history of the rodeo, I took it for granted that it was an American sporting event. Not so. Actually, rodeo started out as simply a part of cattle ranching, with roots going back to the Spanish ranches of the early 1700’s. Spanish vaqueros influenced the cowboy clothing, language, traditions and equipment, and that in turn influenced the sport of rodeo. Early ranch duties, like roping, horse breaking, riding, herding, branding, and more, are still the same today, except for modern methods and equipment. Wickipedia gives this great description of the first rodeo (according to Harris Newmark) in 1858 in Los Angeles County: The third week in February witnessed one of the most interesting gatherings of rancheros characteristic of Southern California life I have ever seen. It was a typical rodeo, lasting two or three days, for the separating and regrouping of cattle and horses, and took place at the residence of William Workman at La Puente rancho. Strictly speaking, the rodeo continued but two days, or less; for, inasmuch as the cattle to be sorted and branded had to be deprived for the time being of their customary nourishment, the work was necessarily one of dispatch. Under the direction of a Judge of the Plains—on this occasion, the polished cavalier, Don Felipe Lugo—they were examined, parted and branded, or re-branded, with hot irons impressing a mark (generally a letter or odd monogram) duly registered at the Court House and protected by the County Recorder's certificate. Never have I seen finer horsemanship than was there displayed by those whose task it was to pursue the animal and throw the lasso around the head or leg; and as often as most of those present had probably seen the feat performed, great was their enthusiasm when each vaquero brought down his victim. Among the guests were most of the rancheros of wealth and note, together with their attendants, all of whom made up a company ready to enjoy the unlimited hospitality for which the Workmans were so renowned. Aside from the business in hand of disposing of such an enormous number of mixed-up cattle in so short a time, what made the occasion one of keen delight was the remarkable, almost astounding ability of the horseman in controlling his animal; for lassoing cattle was not his only forte. The vaquero of early days was a clever rider and handler of horses, particularly the bronco—so often erroneously spelled broncho—sometimes a mustang, sometimes an Indian pony. Out of a drove that had never been saddled, he would lasso one, attach a halter to his neck and blindfold him by means of a strap some two or three inches in width fastened to the halter; after which he would suddenly mount the bronco and remove the blind, when the horse, unaccustomed to discipline or restraint, would buck and kick for over a quarter of a mile, and then stop only because of exhaustion. With seldom a mishap, however, the vaquero almost invariably broke the mustang to the saddle within three or four days. This little Mexican horse, while perhaps not so graceful as his American brother, was noted for endurance; and he could lope from morning till night, if necessary, without evidence of serious fatigue. Speaking of this dexterity, I may add that now and then the early Californian vaquero gave a good exhibition of his prowess in the town itself. Runaways, due in part to the absence of hitching posts but frequently to carelessness, occurred daily; and sometimes a clever horseman who happened to be near would pursue, overtake and lasso the frightened steed before serious harm had been done. Who would have believed that the Spanish introduced bull riding? Not me. They also invented steer wrestling (wrestling the steer to the ground by riding up behind it, grabbing its tail, and twisting it to the ground). Bull wrestling had been part of an ancient tradition throughout the ancient Mediterranean world including Spain. The ancient Minoans of Crete practiced bull jumping, bull riding, and bull wrestling. Bull wrestling may have been one of the Olympic sports events of the ancient Greeks. Following the Texas Revolution and the U. S. Mexican War, contests sprang up between ranches. Bronc riding, bull riding, and roping contests eventually appeared at race tracks, fairgrounds, and festivals. William F. Cody (Buffalo Bill) created the first major rodeo and the first Wild West show in North Platte, Nebraska in 1882. Following this success, Cody organized his touring Wild West show, leaving other entrepreneurs to create what became professional rodeo. Rodeos and Wild West shows enjoyed a parallel existence, employing many of the same stars, while capitalizing on the continuing allure of the mythic West. Women joined the Wild West and contest rodeo circuits in the 1890s and their participation grew as the activities spread geographically. Animal welfare groups began targeting rodeo from the earliest times, and have continued their efforts with varying degrees of success ever since. So that’s the history of rodeo. Anyone know how many books have been written centering around rodeos?